We use them in notes, texts and so much more. They’re two little letters but they have a big meaning when they’re playfully placed side by side! 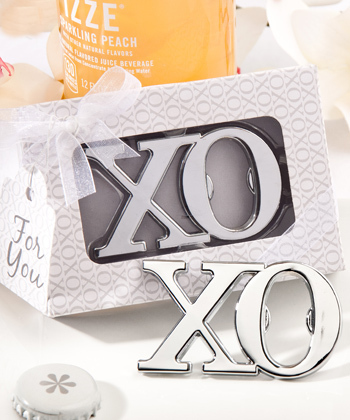 Synonymous with hugs and kisses, XO is a cute way to say “I love you.” And, Fashioncaft made this bottle opener favor so you can say it in a decorative, useful and lasting way.